The collegiate team beat MoraBank Andorra, who never lost the face of the game. Shurna, with a triple missed at the end, was able to turn the game around. El Movistar Estudiantes got their fourth consecutive local victory, the eighth of the season, in a vibrant and brilliant match (91-90) in which the MoraBank Andorra did not return the face at any time and in which the offensive ambition of the college had much importance. Estudiantes came out very aware of the importance of victory for their future and supported by the activity of Víctor Arteaga took the initiative on the scoreboard, 6-4 (m.2.30). 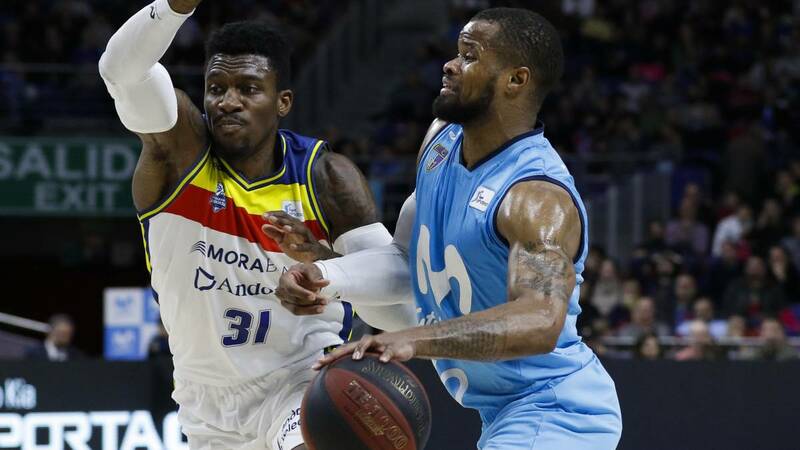 Dylan Ennis gave the reply for MoraBank with his effectiveness. But it was the collegiate team that imposed the pace of the match. His inspiration in attack allowed him to send in the light, although the team from the Pyrenees did not dare and accepted the scoring challenge. The 28-24 with which he finished the first quarter is a true reflection of the scarce presence of defenses in the first ten minutes of play. In the second act, Andorra came out as a shot and in just a minute and a half managed a partial 0-9, 28-33. A timeout of Josep Maria Berrocal and the return of Omar Cook to the track was enough for the collegians to resume the concentration. With the score restored to the match, 33-33 (m.12.20) the match entered a phase of precipitation . The two teams bet by direct basketball, by attacks of a few seconds and the result was failure after failure. Bajaron the scores, but not by the influence of the defenses but by the lack of success, and the break came with a 45-44. Alessandro Gentile and Omar Cook by local and Michele Vitali and Ennis by foreign side were the most intoned of their teams. Students returned to leave revolutionized after passing through locker rooms with a 7-0 in the first two minutes, 52-44 , that Andorra neutralized almost immediately, 52-52 (m.23.30) . Gentile assumed weight and responsibility in the game of Madrid, while David Walker was omnipresent in the Andorran entry, 57-58 (m.26.40 ) . At the end of the third quarter, 65-68 and all open. A triple start by Goran Suton returned to restore the balance, 68-68, but MoraBank responded and reached an interesting advantage with 71-76 (m.32.30 ) given the prevailing equality. Reggie Upshaw joined the scoring party and led Andorra to its biggest advantage of the game, 73-81, with 6 minutes to go. 33 33333 But in the following two and a half minutes the Estu exploded achieving a partial of 14-0, 87-81. Gian Clavell gave the answer with five points in a row and a triple by Darío Brizuela restored the equalizer, 81-81. Artega and Shayne Whittington rounded the partial. The Andorran team did not return the face to the game and with Vitali very inspired came to the last minute with all options, 91-90. A triple failed Brizuela gave the option to Andorra to get the victory, but el triple pitching of John Shurna did not enter and Estudiantes scored the eighth win of the season, the fourth consecutive at home, by 91-90.